Mabel's Labels Invisible Sticky Labels -- Review and Giveaway! Want to win some the most hi-tech labels EVER? Keep reading! I tell you, humans are incredible beings. Humans invented the wheel. The airplane. Twitter. And now this -- Mabel's Labels new Invisible Sticky Labels. How cool is that? A label that's invisible to the human eye! It becomes visible only when you touch it. Don't ask me how -- they say it's some kind of laser technology -- all I know is that when I received my review sample of Invisible Sticky Labels to try out, they looked just like blank labels (note: make sure you don't accidentally print on them!). Yes, they're a bit difficult to peel and stick but they're just so COOL. They'd look great stuck on a row of nice, neat canisters, don't you think? So minimalist! And if you want to find out what's inside them, just touch the label to find out! 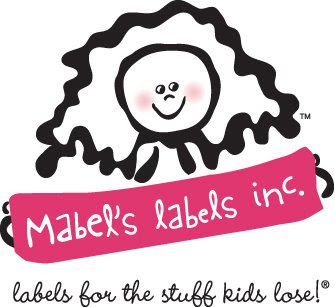 Click here to see a photo of me showing off my new Mabel's Label's labels, then come back here and leave a comment telling me what you think. This must be completed in order to qualify for an extra entry. 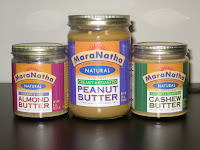 Hi-tech Mabel's Labels giveaway from @bonggafinds and @mabelhood http://tw2.us/e0 pls RT! Hurry, this giveaway ends April 7, 2009; I will pick a winner at random and announce the winner's name on April 8.
Who doesn't love stickers? And who doesn't love Mickey Mouse? For our next Disney Download (which I got from February's Disney's Magical Celebrations sweepstakes) , we've got both: a sheet of Mickey Mouse stickers for you to print out on sticker paper. Just click on the image or the text link above to download the PDF file from Scribd. Here's my second Disney Download: some Pinocchio stationery. You can download it (it's a pdf file hosted on Scribd; just click on the image or the link above) and print it out to use as invitations for your upcoming Pinocchio High-Def viewing party. After all, Pinocchio has just been re-released in a new, 2-Disc Set 70th Anniversary Platinum Edition (for the first time since 2002, and the first time ever on Blu-Ray High Def). Enjoy! ... and the free shipping deals keep on coming! This week it's free shipping on ALL Leapfrog Toys and Games at Toys-R-Us. That's right, you don't even have to hop into your car and brave the traffic on the roads. You can park your little behind right at your beloved computer and stock up on all those fun Leapster, Tag and Didj games. If you don't have a Leapster or Didj, now's the time to buy -- it's only $74.98 for the Didj/Indiana Jones bundle (on sale from $99.99), $59.99 for the Didj alone (versus $69.99), and $49.99 for a Leapster2 (down from $59.99). Sweet! Want to win a 3-month subscription to Shidonni Pro, a fun online world? Read on! My kids have been big Webkinz World fans ever since they got their first Webkinz almost a year ago. They enjoy playing with their stuffed pets and earning Kinzcash for their virtual pets by playing games online. So when I was invited to try and review Shidonni, an online world where kids can create, care for and play with virtual pets, I was definitely interested. I already knew my kids could get into that kind of thing, and Shidonni has lots of unique, intriguing features worth checking out (kids draw their own pets, draw their pets' food, draw backgrounds and worlds for their pet to live in, play games with their pets as the main characters). But I have to admit, I thought they might play with it once or twice, then go back to Webkinz World. Shidonni is a world where kids are definitely #1: from the bright drawings to fun games (challenging enough to hold their interest, but simple enough to avert frustration) to the happy, whistling music playing in the background, everything is cheerful and upbeat and lively. I like that kids can create pretty much all the characters they want (my 3 kids currently share 1 account). Kids start out with some basic drawing tools, then earn fancier ones by playing games and completing missions. The free, basic Shidonni account has tons of features to hold their interest, and the Pro Shidonni account offers even more games and features that will keep kids coming back again and again. There's just so much in Shidonni to explore! The lack of text is frustrating!! It's become almost a standard to see text when you hover your mouse over various onscreen icons, but that doesn't happen. I realize that 4 and 5 year olds cannot read, but grownups do, and preschoolers do rely on grownups for guidance. I always like to do a quick scan of any online site for kids before I allow them on it, to see if it's age appropriate and so I can help them navigate through the site and its activities to help them get started. But we had to go through a lot of trial and error to figure out the games on Shidonni (later on I discovered the detailed game descriptions on the Shidonni blog). Whoever thought of letting kids create their own pets by drawing them, then bring them to life is surely a genius. It's what really makes Shidonni unique and special. It's also what keeps my kids coming back to Shidonni again and again. They seem to have a greater sense of responsibility for their pets because the pets are totally and uniquely theirs. The entertainment / cute factor is off the charts. 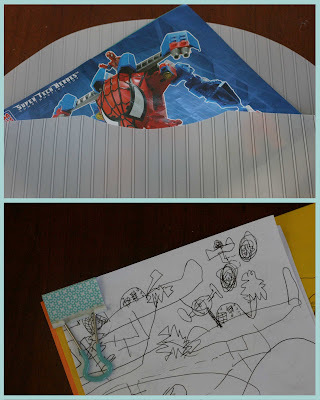 What kid doesn't want to see the drawing he or she created suddenly start walking or flying? Or be the game pieces in a chutes and ladders game? Or ride around in a taxi or eat the food that he or she drew just a moment before? That's Bongga, baby! There's also an added bonus for parents: Shidonni emphasizes creativity over material acquisition. like many other virtual worlds for kids, Shidonni promotes a sense of responsibility as children care for their virtual pets -- but unlike others, the focus isn't on acquiring money or material things to care for their pets. Shidonni users play games to complete missions, not collect virtual cash, and they are rewarded with more opportunities to create -- like more background music to play, more stamps or paintbrushes or colors to decorate their characters with, more planets to put their creatures on. And since everything in Shidonni starts out as a blank canvas, it also inspires kids to imagine and create. Go to http://www.shiddoni.com/ and click on the "Play Now" button to try the site out with your child. You can Give it a Try without creating an acount, or create free account if you want to save your child's creations. Then leave a comment here with one thing you liked or didn't like about Shidonni. This entry MUST be completed for all other entries to count. 1) Follow shidonni on Twitter (leave 2 comments with your twitter id). For each extra entry, please leave a separate comment (don't list down all your extra entries in 1 comment!) . This giveaway ends at midnight PST on April 5, 2009.; I will draw a winner at random on April 6 and post the winner's name on the same day. For additional giveaway rules, click here. Good luck! So the trend in individually-portioned snacks, while not exactly environmentally friendly, is such a convenient way for me to control not just what I eat, but how much I eat. I recently received a sample of Sensible Snacks' new 100-calorie Cheating With Chocolate Mini-Crisps, and OMFG they are great. They're 100-calorie packs of sweet crisps that come in 2 flavors, S'mores (which Alfie likes) and Cinna-Swirl (my preference) that make it easy to resist cheating: once the bag is gone, it's gone. Of course, I could probably eat 3 bags at once, but I wouldn't be able to deny that I was cheating, would I? I just have to get Alfie to lock them up and dole them out to me, one per day. It's free shipping time again at the American Girl online store! No minimum purchase necessary, so you can grab something for your little girl's Easter Basket without spending a bundle. Hurry, the offer ends April 5! It's that time of year again.... Janice and Susan from 5 Minutes for Mom are hosting the mom blogging event of the year, the Ultimate Blog Party 2009! It runs all week, from March 20-27 all over: the blogosphere, Facebook, Twitter (use hashtag #ubp09), and three Real Live Parties in NY, LA and Nashville. Last year there were over 1,500 blogs on the Mr. Linky, so it's a great way to discover some great blogs and get your own blog noticed. I'm so excited to be partying with all the great mombloggers this week (click here to read my party post)! 3) A custom blog makeover from Southern Girl Blog Design, courtesy of Southern Girl Blog Design (#INT33). Uh, on second thought, Do Not, I repeat, DO NOT indicate any interest in those prizes either (I wantwantwantwantwant 'em!). Why don't you enter to win this cool prize instead? Today, to celebrate the Ultimate Blog Party, I'm giving away a family game that you can play with your cat: it's called CatFeats , and it's a fun way to discover what motivates Kitty to perform (retail value $19.99). To enter, just leave a comment on this post with your email address, introduce yourself, leave a link to your own blog so I can go over and comment on your blog-- after all, the Ultimate Blog Party is all about finding new blogs and new bloggy friends, right? 1) Comment on my Ultimate Blog Post on Finding Bonggamom (leave a comment here saying you commented over there). 2) Follow Bonggamom(bonggamom)on Twitter (leave a comment with your twitter id). 4) Follow Bonggamom Finds on Blogger (leave a comment with your Blogger profile name). 5) Tweet about this giveaway (leave a commment with a link to your tweet). 6) Blog about this giveaway (leave a comment with a link to your blog post). 7) Subscribe to Bonggamom Finds (leave a comment with your Blogger profile name). For each extra entry, please leave a separate comment (don't list down all your extra entries in 1 comment!) . This giveaway ends at midnight PST on March 27, 2009.; I will draw a winner at random on March 28 and post the winner's name on the same day. For additional giveaway rules, click here. Good luck to everyone and party on! Happy Mother's Day! Don't panic -- Mother's Day 2009 is still on May 10 but today is Mothering Sunday in the UK. So you haven't forgotten, and there's still lots of time to think about what to get for the mother who carried you inside her for 9 months and pushed you out during the longest and most pain-filled day of her life and lost about 1 year of sleep taking care of you loves you and cares for you. All mommies really want from their children are kisses and hugs, and maybe a nice card (homemade, of course) as a bonus. But on Mother's Day, everybody honors mothers -- including husbands. And gentlemen, to show how your appreciation for the woman who sacrificed her career and lost her body to childbirth and stayed up when the kids threw up all night mother of your children, perhaps you'd like to shower her with more than flowers. At least watch the kids for the day so she can do whatever she wants. A spa certificate would be nice. Or go all out and send her to Disney's California Food & Wine Festival, which runs April 24 till June 7, with Mother's Day right smack dab in the middle. Yup, Disney's got grownup events too! 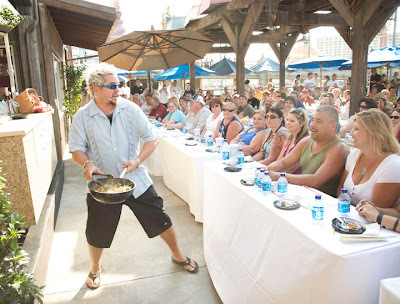 Mom will love the 600 complimentary events like cooking demos, tastings and seminars (that's Food Network's Guy Fieri in the photo, heating it up for the Disneyland crowds). Fine, the rest of the family can come with her; after all, the festival does have a Junior Chef program (ages 11 and under) -- free with admission -- on the weekends. They also have additional fee events like Sweet Sunday brunches and Friday Winemaker Dinners. It's the perfect Mother's Day getaway! ..... and didn't win. Rats. Oh well, I did get a cool consolation prize -- for each day I entered, I was able to access a free Disney download. The contest ran through February, and I remembered to enter almost every day, so I've got about 25 of these Disney downloads -- and I'll be sharing them with you! I'll be posting them here every now and then, so all you Disney fans, keep an eye out! 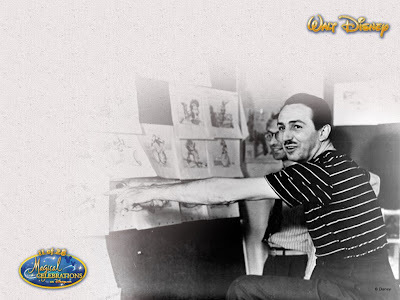 Here's the first one I'm posting, a jpg file of Walt Disney (note: it's not the first in the series, it's actually the 11th). Just click on the photo to get the large-sized version, then right-click on it and click on "Save Picture As". Enjoy! Ikea is having their Free Breakfast deal once again, from March 20-22. It's all part of their Seize the Days event (good discounts on selected items), so go seize the breakfast and the bargains before March 22nd. Heads up, everyone, Family Game Nights are back! In this economy, Game Nights make sense; they're a fun, inexpensive way for families to bond and reconnect. To help you get started on your Family Game Night collection, I'm giving away one Classic Candyland game over at Being Savvy Silicon Valley ! Candyland is the perfect first board game for your kids because they don't need to know how to read or even their letters or numbers. 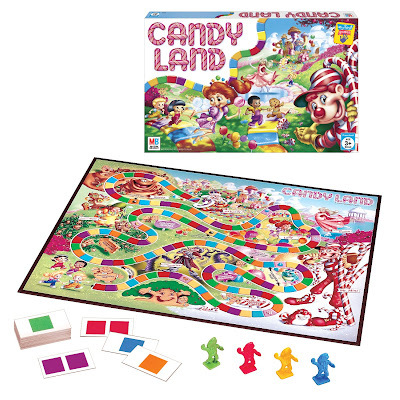 Click here to go to my Being Savvy Silicon Valley post and enter to win a Candyland Game! I just heard the news... The Lion King will be playing in Las Vegas! I've heard so much about this wonderful musical but have never seen it. Now that the show is playing on this side of the US, I feel like I have a much better chance of getting to see it. Right now the Mandalay Bay is offering an unbelievable room and ticket packages for as low as $216 for 2 nights at the Mandalay Bay plus 2 tickets to the show. That's cheap even for just the hotel room! (I'm not sure that last sentence was grammatically correct, but I'm so amazed at this price that I don't care!). Hmmm.... maybe a trip to Vegas is in order? I''ve never been a fan of peanut butter cookies. 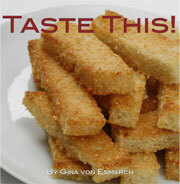 That is, until I tried the Peanut Butter Cookie Bombs in Gina Von Esmarch's Taste This! cookbook. They're easy to make and come out looking like a pro made them. As for the taste.... words fail me. Who would've thought that sticking a Reese's Peanut Butter Cup into a peanut butter cookie would be DA BOMB? I've made them twice already, and each time, they got eaten before the Reese's center hardened. In fact, the cookies disappeared too quickly for me to get my act together and take a photo of them. And since I probably ate more of them than anyone else put together, I'm too terrified of the consequences to my waistline to make another batch to eat photograph anytime soon. But I will. I must. I can hear the Reese's Peanut Butter Cup-py goodness calling to me now..... must... head... for... the .... treadmill! 1) Follow Gina Von Esmarch (ginavon)on Twitter (leave a comment with your twitter id). 2) Follow Bonggamom Finds (bonggafinds) on Twitter (leave a comment with your twitter id). For each extra entry, please leave a separate comment (don't list down all your extra entries in 1 comment!) . This giveaway ends at midnight PST on March 26, 2009.; I will draw a winner at random on March 27 and post the winner's name on the same day. I'm also going to tally up the recipe votes and announce the winning recipe. For additional giveaway rules, click here. Good luck to everyone -- I can't wait to see which yummy recipe I'm going to try next! Click here for a Give & Get coupon that donates 5% to the Leukemia and Lymphoma Society. Click here for a Give & Get coupon that donates your 5% to Teach For America. Click here for a Give & Get coupon that donates your 5% to the World Wildlife Fund. Click here for a Give & Get coupon that donates your 5% to Feeding America. Click here for a Give & Get coupon that donates your 5% to The Global Fund. Click here for a Give & Get coupon that donates your 5% to the Boys and Girls Club of America. The coupons are only valid in stores, so you've got to remember to print them out and take them to the store. All Gap, Banana Republic and Old Navy stores -- even outlets! -- are participating. Isn't this great? Any sale that makes me feel good about spending money is ok by me! 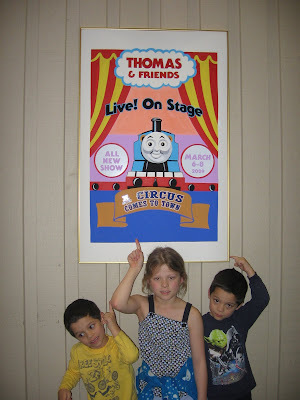 Last weekend we were given a real treat: we got to see Thomas and Friends Live! On Stage: A Circus Comes to Town, a new musical show featuring Thomas the Tank Engine. As soon as the tickets arrived, the kids went into throes of delight, but I must admit I had a couple of questions. First, how on earth would they bring the trains to life? Kids these days are pretty sophisticated customers, and a guy dressed up in a train costume just might not cut it. And second, would my kids -- ages 7, 5 and 5 -- be too old to enjoy it? Turns out I had nothing to worry about. Although the overwhelming majority of the kids in the audience were 3 and 4 year old boys (Thomas' fan base -- duh! ), there were quite a few older children as well, and little girl power was definitely present (in fact the little girl in front of me was proudly dressed in her Thomas train costume and train engineer's hat, so cute!). From the ooh's and ahh's during the show and the happy looks afterwards, I'd say kids of all ages had a great time. Mine certainly did! 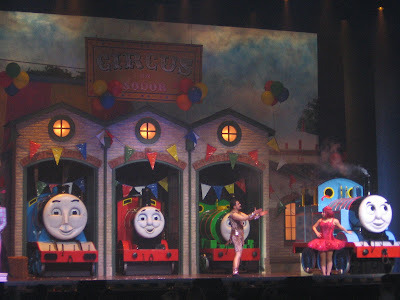 The show features Thomas and some of his most popular friends -- Percy, James, Gordon, and Sir Topham Hat (played, rather inexplicably, by a thin-faced man in a fat suit), all working together to prepare as the circus comes to Sodor. Eager to help, as usual, Thomas makes a big mistake and must prove to everyone once again that he is a Really Useful Engine. Given that the show is called "A Circus Comes to Town", I was kind of hoping they would have real circus performers do a short circus-y, acrobat-y kind of act, a la Cirque du Soleil, but was sadly disappointed. Not that anyone else was complaining. The show is fast paced and entertaining enough to hold preschooler's attention for almost 2 hours. They did all the well-known and well-loved songs like It's Great to Be an Engine, the Engine Roll Call and the Thomas Theme, as well as lesser-known ones and songs created especially for the show. Actually, they seem to break into song every 3 minutes or so (at least it seems that way to the grownups), but the music is simple, infectious and very interactive (the audience is constantly encouraged to peep, chug and toot, much to the delight of the little ones), so it all adds to the fun. The biggest attraction, of course, is just seeing Thomas come to life on stage. Every time a new character came onstage, you could hear all the kids in the audience gasping with delight. No cheesy train costumes in sight -- the trains were real vehicles that rolled around onstage looking just like they do on tv, complete with rolling eyes, moving mouths and expressive eyebrows. Unfortunately it's too late for kids around Northern California to see Thomas on stage; performances in Cupertino and San Rafael ended yesterday. However, the show will be playing in 35 more cities across the country, with dates ranging from tomorrow through the end of July. Go see it -- and if you don't want to take my word for it, maybe you'll listen to 3Po's endorsement: "This was Great. It was the Best. Show. Ever. Ever!!!" When I was in my early teens, I thought weight management was all in the mind. Willpower, pure and simple. Wanna lose weight? Stop eating. Can't stop? You're weak. Of course, I spoke with the arrogance and metabolism of youth. As I grew older, I learned more about the relation between muscles, metabolism and weight loss. And I thought weight loss was all about staying active. Stay active, eat all you want, lose weight. Then I gave birth to 3 kids, entered my 30's, was diagnosed with Graves Disease, and hormonal balances entered the equation. Now I'm in my late 30's, still struggling with weight issues, and coming back to the relationship between weight management and the mind. As in, have I entered eating disorder territory? The thought never really entered my mind until I read Lori Hanson's It Started with Pop-Tarts: An Alternative Approach to Winning the Battle of Bulimia. In this book, Lori tells the story of her battle with bulimia (the title comes from the Pop Tarts she used to scarf down when she was young) and the strategies she used to overcome it. Apparently the "purging" part of the binge-purge cycle does not necessarily include throwing up; some people purge via laxatives, fasting, excessive exercise or a combination of all those, including vomiting. I don't seriously think I'm bulimic, but I'm definitely a yo-yo dieter. I'm familiar with the cycle of stepping on the scale, hating myself so much that I starve myself for a couple of weeks, check the scale again and reward my weight loss by eating all kinds of junk and falling back into my bad habits again. I can definitely binge with the best of them (and I'm not telling anyone where that box of Girl Scout cookie Samoas went, either), so the notion of binge-eating disorders and food addictions certainly caught my attention. Lori's discovery that she was addicted to sugar really resonated with me because I'm starting to realize that to a certain degree, that's true for me as well. I'm the kind of person who can't stop at one cookie (or Pop-Tart). And for the first time ever, I'm wondering whether I ought to be looking at weight management as not just dropping pounds, but breaking an addiction. It's certainly a thought. It Started with Pop-Tarts reads more like a personal memoir than a step-by-step "How To" kind of book. People with eating disorders are going to have to do more than read this book to get back on track -- but it's a start. And for me, at least, I'm thankful to Lori and her book for getting me thinking once again about when, how and why I eat. Woohoo, it's Barbie's 50th anniversary this year! For a 50-year old, she's still quite a doll, huh? :) Retailers all over are celebrating with special Barbie Anniversary merchandise, and there are Barbie events galore like the Barbie Fashion show and tomorrow's Birthday Bash party in a real Barbie Dream House -- but for little girls, the best party is going on at ToysRUs. * free Barbie Fashion Fever doll with any Barbie purchase of $25 or more, while supplies last. * $3 Barbie souvenir doll. * Free Barbie 50th Anniversary Limited Edition reproduction artwork with select purchases. The week culminates with a special Barbie anniversary bash in every Toys"R"Us store from coast-to-coast on Saturday, March 14 from 12 noon - 2 pm. Guests of the party will have the opportunity to express their style by designing their own, complimentary Barbie party hat, while supplies last. If you live in New York, don't miss the Barbie anniversary party on Saturday, March 14 from 12 noon - 2 pm. The Toys R Us flagship store on Times Square will decorate their life-size, two-story Barbie(R) Dollhouse with a pink carpet, a giant cupcake and confetti. The store's indoor, 60-foot Ferris Wheel will have a Barbie doll car that kids can actually ride in, and Barbie herself will make an appearance. Now that's what I call a party! I've got the best home office in the world, really I do. Our computer desk sits at the top of the stairs in a cozy little nook, with a great view of our backyard and lots and lots of light. If only it were a bit more organized! 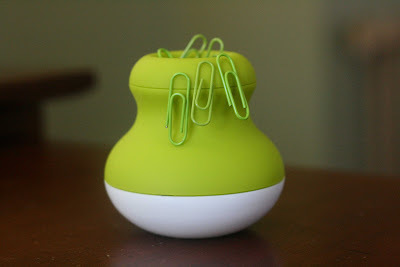 The kids love playing with the magnetic paper clip dispenser because paper clips stick to the inside and outside of the rim. 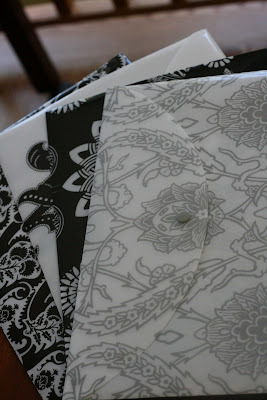 I love the paisely inspired black-and-white design on their plastic filing envelopes. Their pencils are almost too cute to sharpen! Thank goodness their binder clips are reusable because they're definitely too cute to throw away. 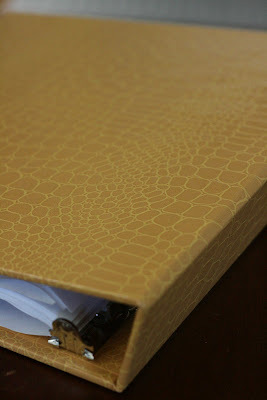 I imagine that Miranda Priestly from The Devil Wears Prada would throw any other binder except these croc binders out the window -- and heaven help the fashion assistant that dares to bring any other kind into her office! And these binders are made of 70% post consumer recycled paper so the Andy Sachs-es of the world can feel good about using them. 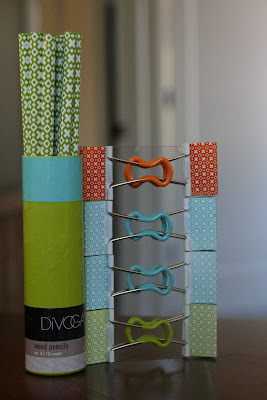 Form, function and frugality -- that's diVoga for you (hey, I should be writing their marketing slogans). Of course, we've got a lot more stuff to organize than just bills and statements :) At least we can organize it all in style! 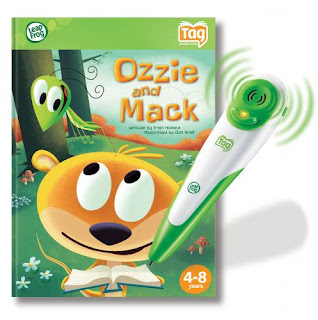 Want to win a Leapfrog Tag gift pack? Keep reading to find out how! Did you know that March is National Reading Month? The National Education Association (NEA) kick-started celebrations with Read Across America Day yesterday, Dr. Seuss's birthday, featuring Cat-a-Van Reading Tours and events across the country. I'm bummed that the Cat-a-Van isn't scheduled to visit Palo Alto (or even California -- hey NEA, what's up with that?) but I'm not ready to rent a Cat-in-the-Hat costume and dance around with the kids. Especially when the best way to celebrate is to read, read, read. 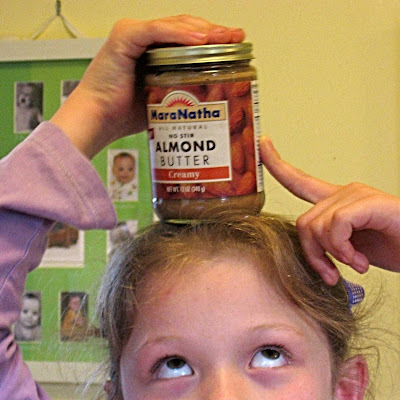 Does your kid have a short attention span? Keep trying. When 3Po and Jammy were babies I was seriously freaked out because they had absolutely no interest in books. But I persevered, found books they liked (i.e. anything with wheels, which were previously in short supply around the household), and now all 3 of my kids love books. Seriously, the more you read, the more they'll like it. One of my favorite educational companies, LeapFrog, wants to encourage families to read together more. So for National Reading Month, they've launched the 1 Million Reading Hours Campaign. Check it out, everyone -- if you pledge to read to your child every day in March, and you'll receive a fun reading certificate, a reading calendar and some great coupons from LeapFrog and ToysRUs. I pledged 30 minutes daily for each of my kids but you can pledge as little as 10 minutes a day. You can also join their Leapfrog/Scholastic books Love of Reading Sweepstake -- 10 winners will receive a Tag Reading System, Tag books and Scholastic books! Go to the 1 Million Reading Hours page and pledge to read at least 10 minutes a day to your child. Then come back here and leave a comment saying how much time you've pledged. Please do this first to be eligible for entry to this giveaway. Whether you win the giveaway or not, your child will love you for it! 1) Follow Leapfrog on Twitter (leave a comment with your twitter id). 6) Join the Leapfrog Community (leave a comment with your community user name). 7) Subscribe to Bonggamom Finds (leave a comment saying you've subscribed). The giveaway will be open throughout the month of March. On April 1st, I'll draw a winner from the eligible entries using random.org, and announce the winner the same day. Good luck, and start reading! Remember Yanni? He of the flowing hair, the mustache, the haunting music, and Linda Evans? Oh come on, admit you love him. Well, he's back and better than ever. His hair isn't flowing anymore but I think he looks way sexier with his shorter hair and stubble (I'm a sucker for stubble). But his looks aren't the only thing new about Yanni -- his latest music actually has vocals in it. He's teamed up with four young vocalists -- think of voices as pure as Andrea Bocelli, Josh Groban or Sarah Brightman -- in his latest cd, Yanni Voices, and 2009 tour Yanni Voices Live in Concert. Want to check out Yanni's latest work? His Acapulco concert airs on PBS tonight, March 2 -- check your local stations for times. (thanks to One2OneNetwork for the info! ).